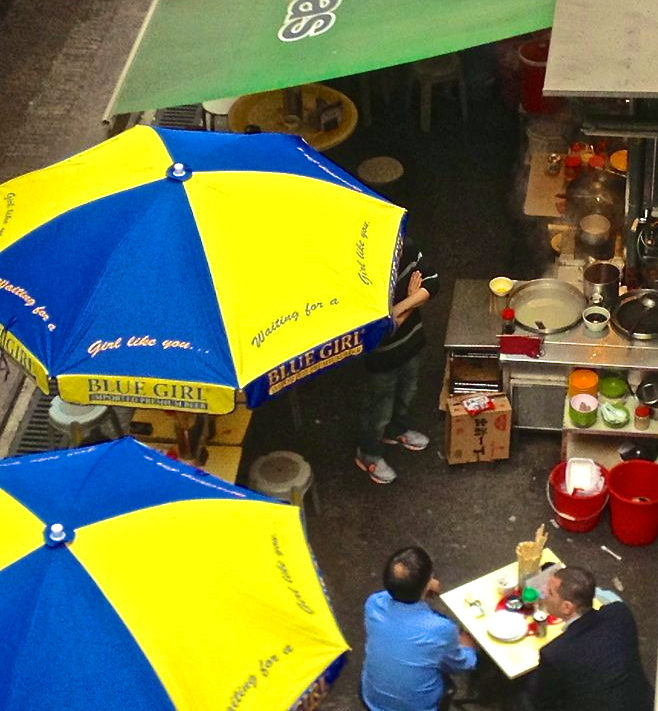 Visiting Hong Kong–Things I would do if I were coming to visit. Ride the Star Ferry. You can take a ferry for less than HK$5 and get pretty much the same view as you would if you did the harbour tour. I love the ferry. I take a ride whenever I am in the need of a bit of a boost. It is a space of time-stillness and dwelling. You can do nothing but sit and watch. Watch the Symphony of Lights. On the harbour front on the Tsim Sha Tsui side you will get music, commentary and crowds. It is also the way to see the building lights do their thing (they go on and off with the music in a choreographed way) from this side. I find however, that the restaurant called Open Kitchen that is located in the IFC mall allows a wonderful view of the lights of Kowloon, which also nice, and you can do this with an inexpensive glass of wine. Ride a ding ding. The ding ding is the local name for the trollies that run along what was once the waterfront of victoria Harbour (I have talked about this in the post about Exit C of the MTR). The seats are hard so I wouldn’t advocate riding the whole length (I know people who have done so and felt somewhat bruised afterward). Visit Graham Street Market. Graham street market is just off the mid-level escalator (so this is really several activities in one). 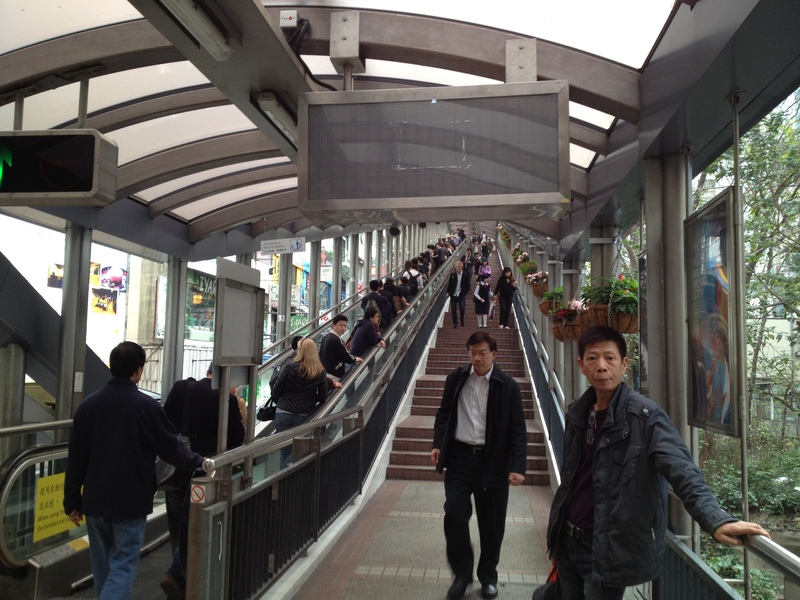 The escalator is west from the ferry pier and the Central MTR station. You can get on at what was once the old Central Market. I would ride up the escalator to Elgin Street, turn right on Elgin street until Peel. Turn left down Peel street. Where Peel should cross Staunton street, you will see a flight of stairs. Just down the stairs, off Staunton you will see an open temple. Stop here and smell the incense burning. It is one of those Proustian smells (see this post for more about Proust and the Madeline). Once you’ve made a marker for yourself in existential time space, walk down Peel until Hollywood Road. Turn right on Hollywood road one block. You will now be at the head of Graham Street. Walk down through the market. It is a wonderful sight. At the bottom, if you are hungry there is a small area with Dai Pai Dong. Have something to eat. You won’t be disappointed. Incidentally the Dai Pai Dong area was featured in a film directed byWong Kar WaicalledChungking Express. The theme song is a cover of the Cranberries song Dreamlover, and is sung by the wonderful Faye Wong. 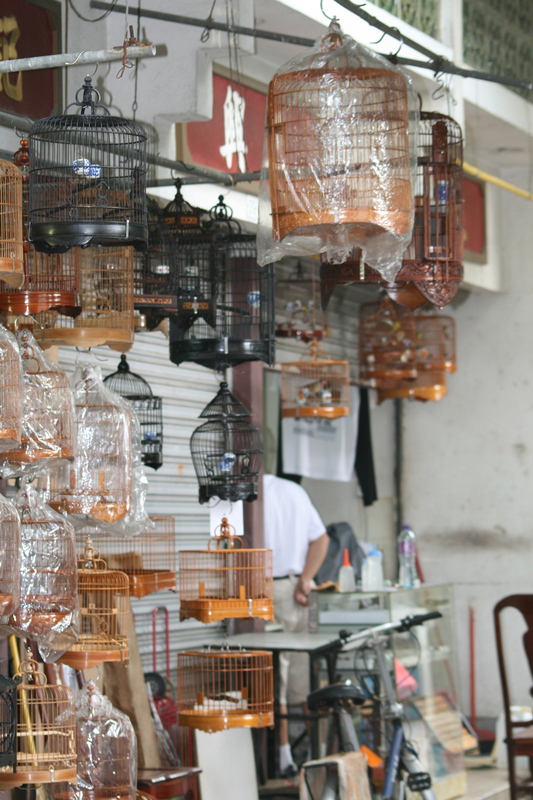 Visit the Flower Market, the Yuen Po Street Bird Garden in Prince Edward and then visit Sham Shui Po. The little part of Hong Kong where the flower market and bird garden are is lovely. There are hundreds of orchids and many other beautiful flowers. If one does not have time to look at flowers then life is indeed impoverished. Once you’ve wondered through the market then go get lost in Sham Shui Po. To get there you will need to head along Boundary Street (the old boundary of the British Colony) toward and then beyond Nathan Road. This is a warren of little wholesale shops. Different things are sold in each bit. It is very good for beads and fabric though not for the feint hearted. 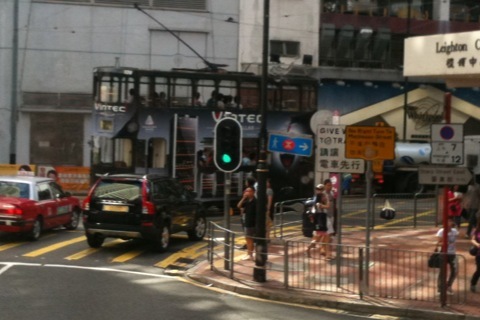 Alternatively, and equally not for the feint hearted are Tung Choi St. and Sai Yeung Choi Street South. 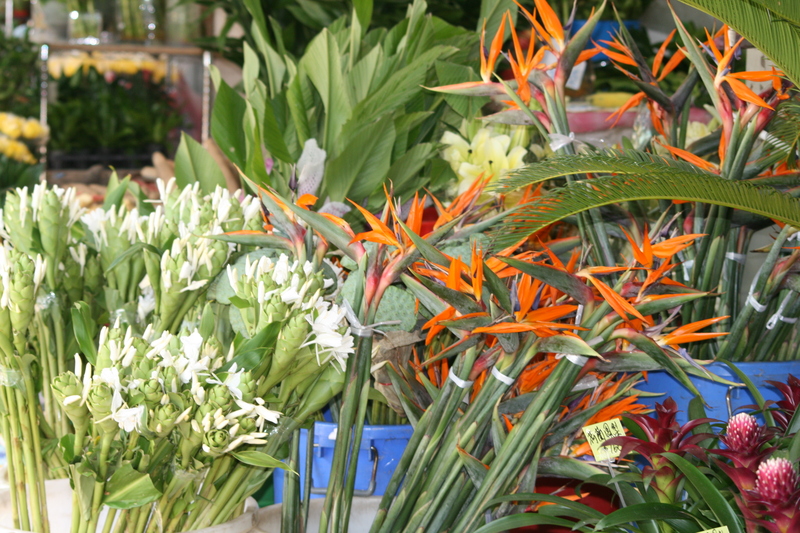 From the flower Market you will want to cross Prince Edward Road and just head down either one of these streets. The later in the day you go, the busier it seems to get. You will find lots of cheap stuff to buy here. Bargaining is allowed. Have a coffee at the Starbucks on the Avenue of Stars. I’ve written all about that here. The views are wonderful. You need to have good weather though because there is no point siting inside. Go upstairs (lift is just behind and to the left of the counter), sit, drink your coffee and watch the world go by. Go to Stanley. Stanley is a different world to the main part of Hong Kong. It is a small, wealthy area on the opposite side of Hong Kong Island, so takes a bit to get there. It is particularly good on a weekday as there are fewer tourists, but all the stuff. There are some good walks around the town and also a lovely beach. Stanley Market is a great place to buy gifts. You can bargain with shop keepers, but prices will be a bit higher, none the less. After you have visited the market (this is a goods market not a food market), go to one of the little restaurants along the water where you can get a great Belgian Beer and some french fries with cheese. Do plan to spend the day. The building in the background was once in central. Go to Sai Kung. Sai King is out in the New Territories so takes a bit of adventuring but worth it. Firstly the village is great. There are good coffee shops (I like Colour Brown) and restaurants and tons of fish tanks with hundreds of different types of fish where you can pick what you want and they will cook it for you. You can take a ferry to an island and play golf or go on the driving range. Other ferries will take you to beaches. From the village bus area walk left long the water front. You will come to what looks like the end of the line but keep going along the pavement. Around the corner is a kind of rubbish beach, but more restaurants and a bar with stunning views. On the beach you can rent Kayaks.They cost just HK$50 for the day with a HK$50 deposit. It is great fun. If you do this you will want to head straight out to the island you see ahead of you. Rest there and then to the left there is another island with an old church and a dai pai dong. The island village has been designated a herritage site, so is being preserved. Once done there paddle back the way you came. There are sometimes sharks in these waters in the spring, so do ask first. 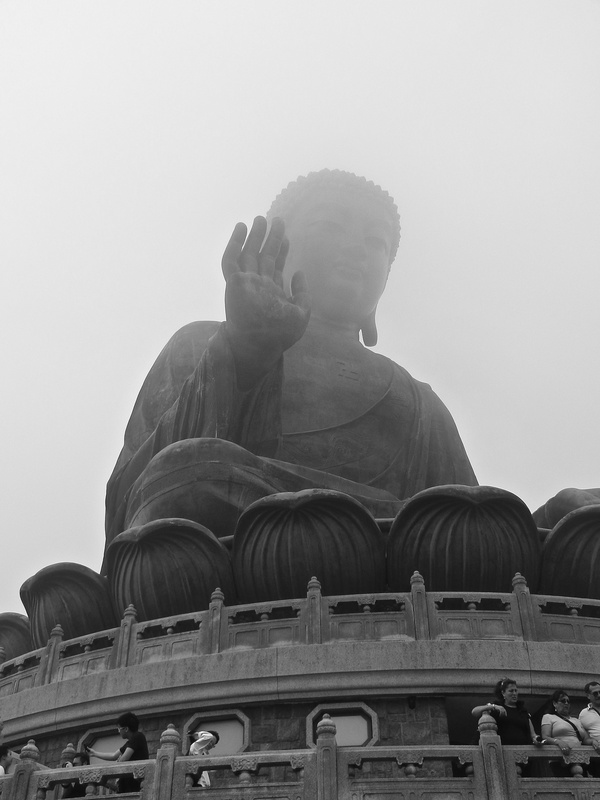 Visit Lantau Island. Here you can go ride a cable car up to see a very large Buddha. The ride is called Ngong Ping360. 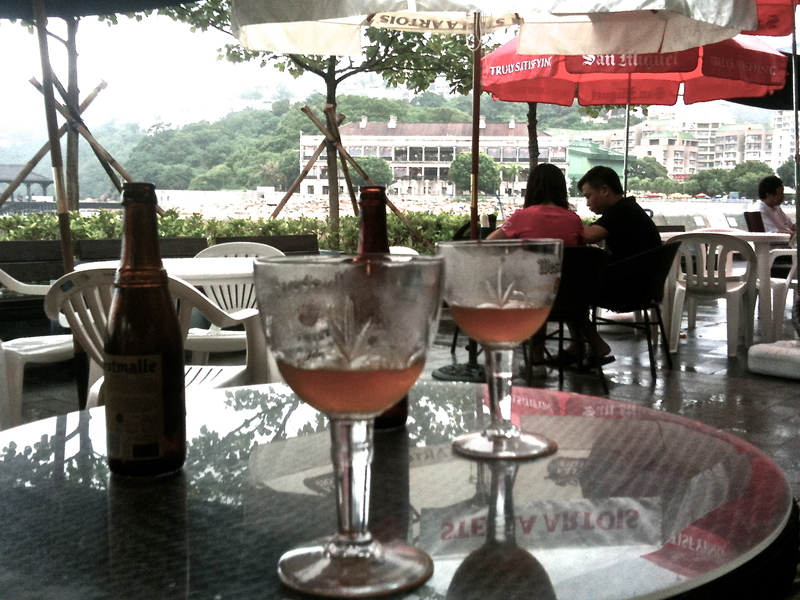 Get a taxi or a bus from the top to Tai O. I’ve written a bit about Tai O here. This village is worth at least most of a day. Explore it all. The stilt houses are amazing. At Tai O you can get a boat ride out to see the pink dolphins. Look at them now as they are under threat. There are also lots of birds to see if you are so inclined. This entry was posted in Hong Kong and tagged Avenue of Stars, Avenue of Stars Hong Kong, Graham Street, Holiday, Hollywood Road, Hong Kong, Kowloon, Sai Yeung Choi Street, Starbucks, Tourism, Travel, vacation, Victoria Harbour, What to do by geofoodie. Bookmark the permalink. Great post! I haven’t done #4 and #5 as yet, despite having lived in HK for almost 2 years. How sad is that! So you don’t like the peak? That’s one thing I advise all visitors to check out. I think the Peak is fine and worth it if you are going to take advantage of one of the many walks down, but as the full enjoyment depends on perfect weather condition–not too hot, not too smoggy or cloudy, etc. I find it is really only at full enjoyment about 2 months of the year. For me, that takes it off the list. Thanks so much for the nomination! What a nice thing. Yes, HK is a pretty amazing place in all its dimensions! Thanks so much Geofoodie! What a wonderful plan! Will let you k ow how it goes, and thanks for the quick turnaround!! My pleasure. It was fun to do. Not a complete list by any means, so check back before you go as I may had added more. My husband asked me what the list was and then started telling me what I missed. So really there is a lot to keep you busy. How long are you here? Have a nice time in China. Parts are absolutely beautiful. There is more than enough on this list to keep you busy for 3 days–with some choice. Probably a must see is the Peak, as this is the list of what I would do I didn’t include it. Get yourself an octopus card–at the airport if you can or in any of the MTR stations. It works an everything and you can buy coffee with it.